Head to southern Japan and experience exotic Kyushu! Join us on our incredible 16-day Kyushu Japan Tour, where you will experience stunning natural landscapes, deep history, and exquisite cuisine of this region. Led by Julius Pang, a Japan expert and award-winning travel photographer, you’ll learn how to take better travel photos and visit the best spots in Kyushu, an off-the-beaten track location that is full of some of the most stunning scenery in Japan. Starting from the Osaka, the second largest city in Japan after Tokyo and the economic centre of the Kansai region. The Dotonbori district is famed as Japan’s kitchen, full of delicious food to sample, while Osaka Castle and the Umeda Sky Building are well-known landmarks in this bustling city. 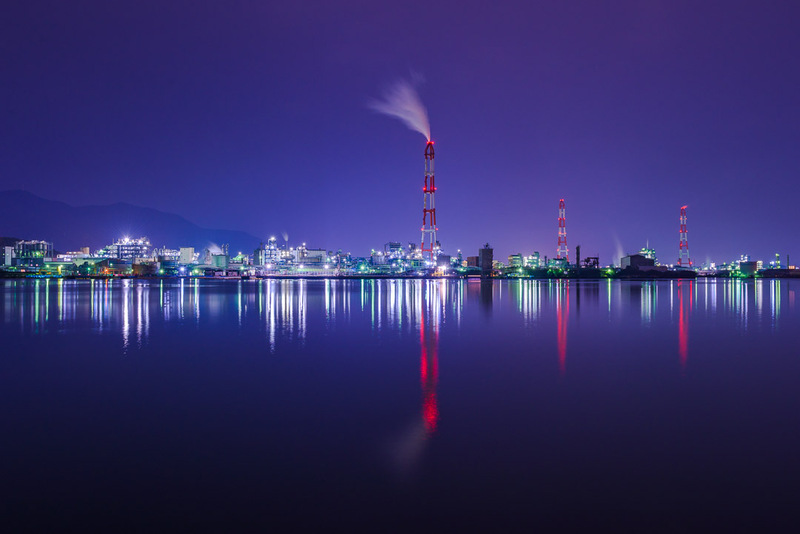 We explore the gateway to Kyushu, the city of Kitakyushu, famous as an industrial base in Japan and featuring some of Japan’s most stunning night views. Further west is Fukuoka, with its bustling international flavour and famous as the home of tonkotsu ramen. 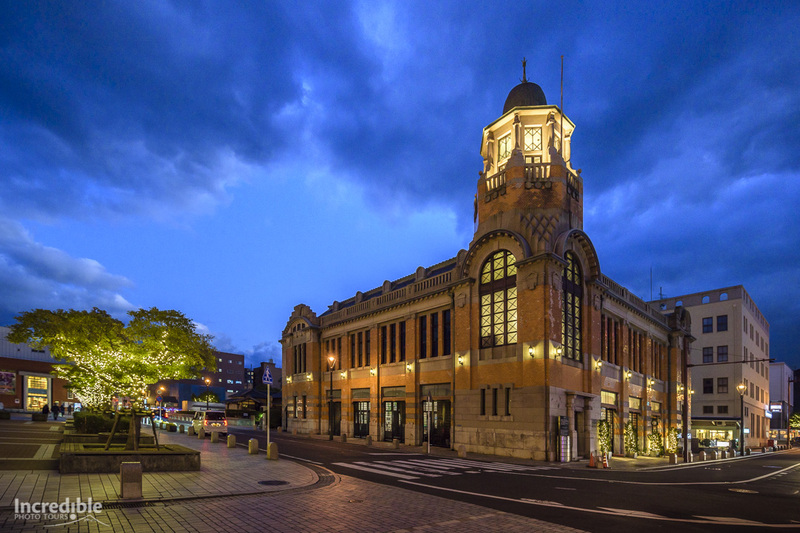 Thanks to the support of the Kitakyushu City Tourism Division, TOTO, and West Japan Railway Company, we are able to bring you some unique experiences in Kitakyushu and Fukuoka not available on any other tour! These include a factory visit to a TOTO factory, and a tour of a shinkansen (bullet train) railyard! 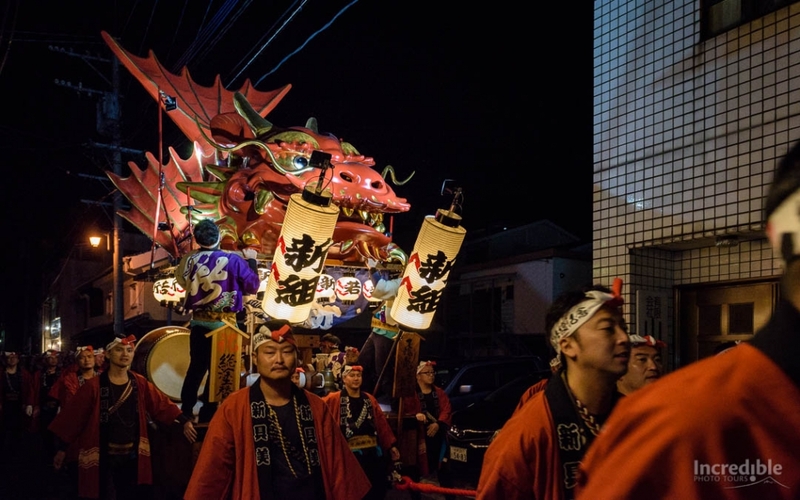 Our Kyushu tour also coincides with the Karatsu Kunchi Festival, one of Japan’s top 3 float festivals and a featuring intricate and beautiful hikiyama floats. We also visit Nagasaki, a bustling port city with a tragic history as the second city to be destroyed by atomic bomb. 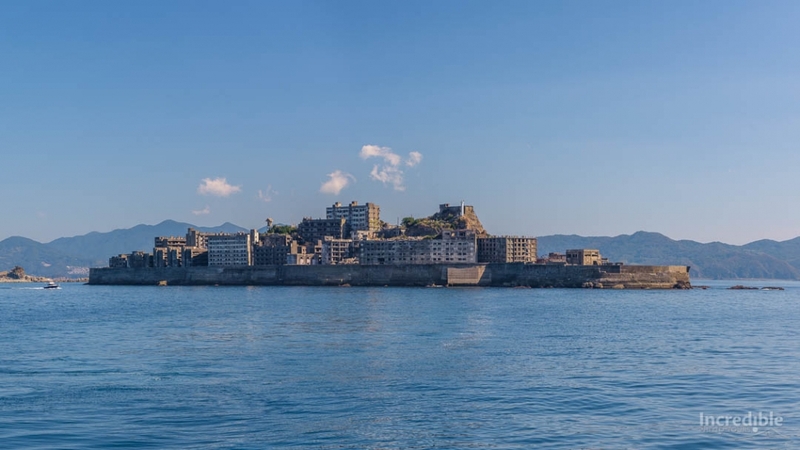 Offshore from Nagasaki is the incredible Hashima Island, nicknamed “Battleship Island” (Gunkanjima) due to its shape. Right in the south of Kyushu is Kagoshima, situated right next to Mount Sakurajima, one of the world’s most active volcanoes! We visit Yakushima via high-speed jetfoil. This small island features some of Japan’s most pristine natural landscape, with an ancient cedar forest covering most of the island. The stunning Shiratani Unsuikyo Ravine here was the inspiration for the forest in the famous animated film Princess Mononoke. Our trip also includes a visit to Mount Aso, the largest active volcano in Japan, and featuring one of the world’s largest calderas. We also visit the famed Kurokawa Onsen in countryside Kumamoto Prefecture, often regarded as the best hot spring area in Japan. We finish off with a visit to the cultural capital of Japan, Kyoto. This amazing city is deep in history and full of stunning temples, shrines, and gardens. 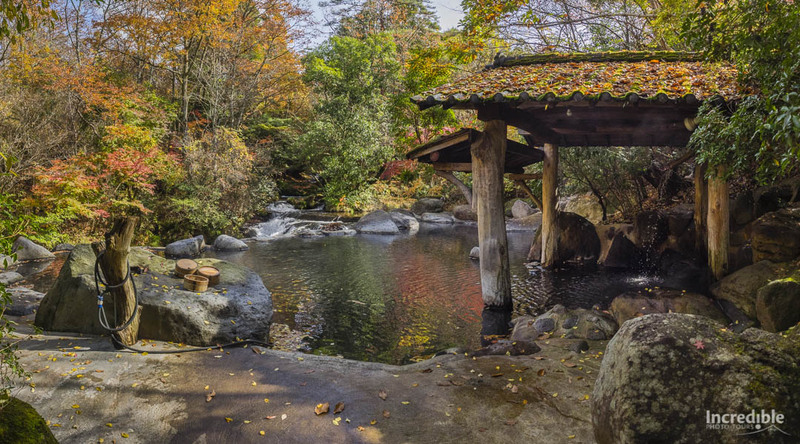 The gardens of Hogonin Temple and Komyoin Temple will be popping with autumn colours. This is the tour that takes you off-the-beaten track, and shows you the secret hot spots of Japan. Book now for special pricing – all you need is your camera and passport! This tour provides a wealth of incredible photography opportunities and unlike any other during Japan’s autumn season. We visit a selection of incredibly photogenic sights where you’ll learn how to improve your photography and create the images you’ve always wanted to. 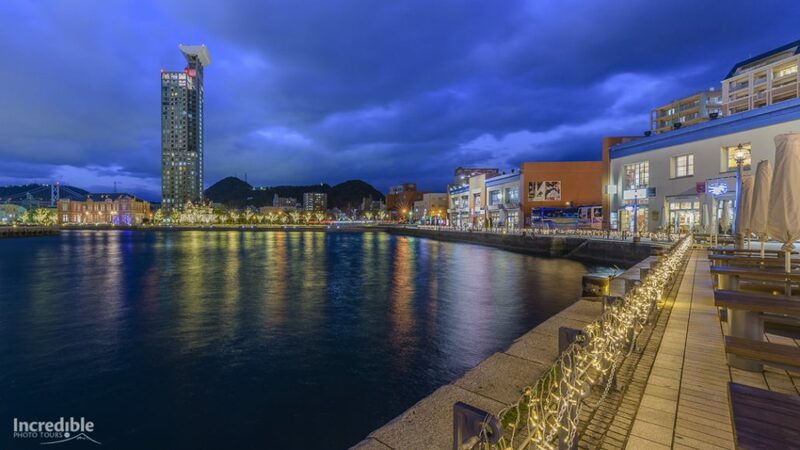 Kitakyushu – one of Japan’s most important industrial cities, and the gateway to Kyushu. Mount Sarakurayama – one of Japan’s top 3 night views. Dazaifu – a former administrative centre for the whole of Kyushu. Hashima (Gunkanjima) – nicknamed “Battleship Island” due to its shape, this historic place was once the world’s most densely populated area. 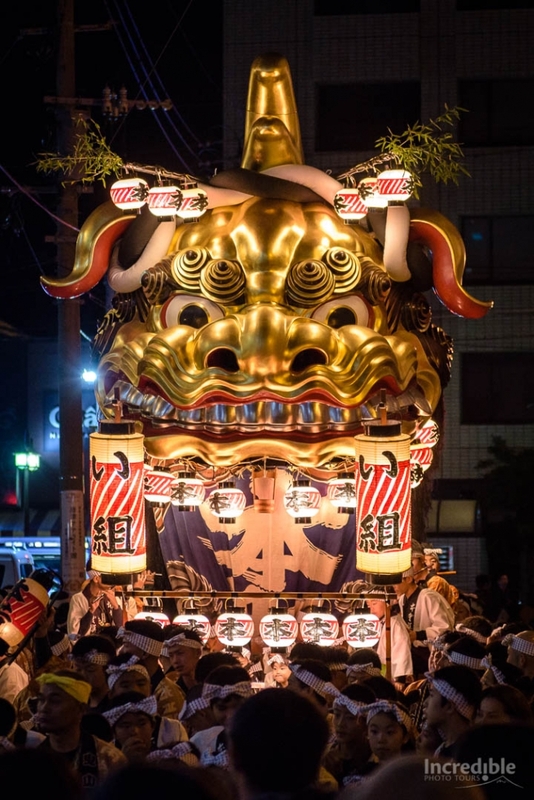 Karatsu Kunchi Festival – one of Japan’s top 3 “float” festivals, featuring giant and intricate hikiyama floats that are paraded through Karatsu City. Nagasaki – despite a tragic past as the second city to be destroyed by an atomic bomb, Nagasaki was rebuilt and is now a vibrant port city. Mount Inasayama – another one of Japan’s top 3 night views – we cover two on this tour! Kikuchi Keikoku Gorge – a beautiful gorge in remote Kumamoto prefecture, and one of the premier “forest bathing” sites in Japan. 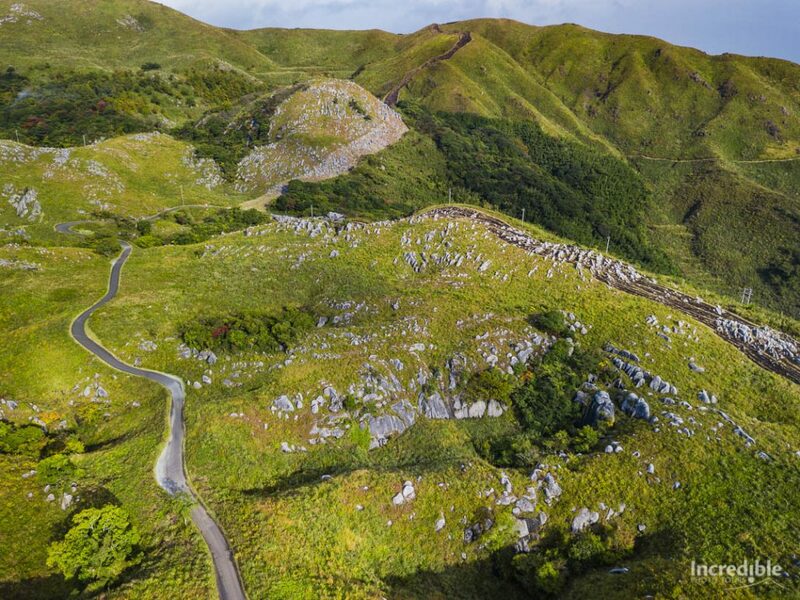 Mount Aso – the largest active volcano in Japan and featuring one of the world’s largest calderas. 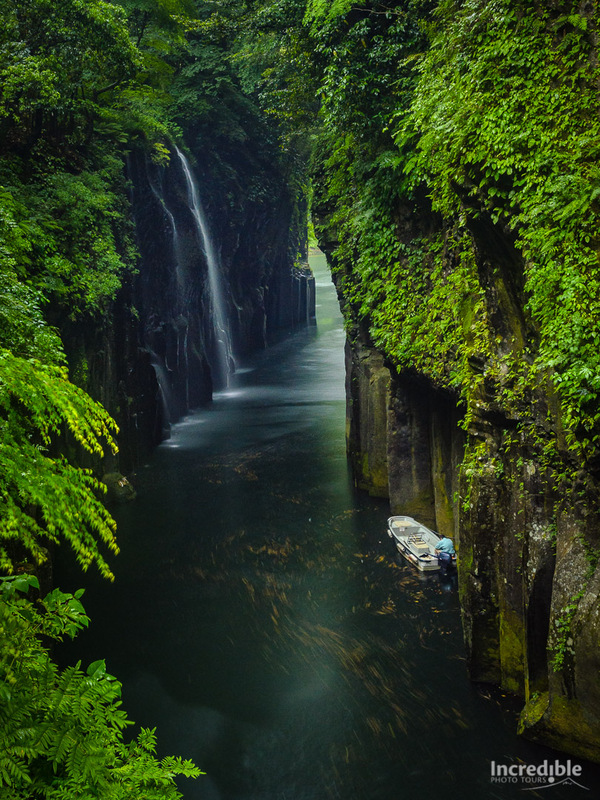 Takachiho Gorge – one of Japan’s most picturesque gorges, featuring sheer cliffs of basalt and Minainotaki Waterfall cascading down to the Gokase River below. Kurokawa Onsen – one of Japan’s most famous and beautiful hot spring areas. Yakushima – one of Japan’s natural wonders, featuring an ancient cedar forest with some of Japan’s oldest trees, and the stunning Shiratani Unsuikyo Ravine. 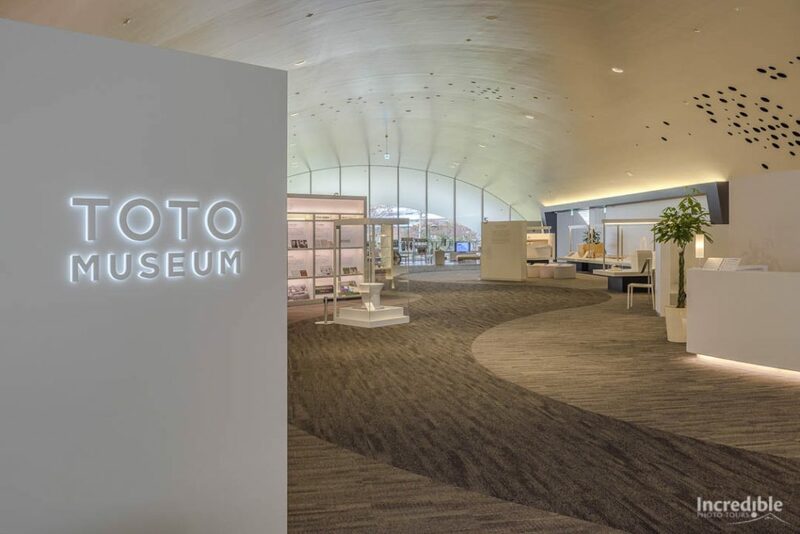 TOTO Factory and Museum – a unique factory tour experience of one of the world’s largest toiler makers, and a beautifully designed museum covering the 100-year history of TOTO. Private tour of West Japan Railway Company railyard – an exclusive and rare opportunity to see Japan Rail’s railyard up close in Fukuoka! Autumn colours coming alive in Kyushu and Kyoto. Photographic training and personalised feedback from Julius Pang, a multi award winning photographer and Japan travel expert. Great food and optional activities! 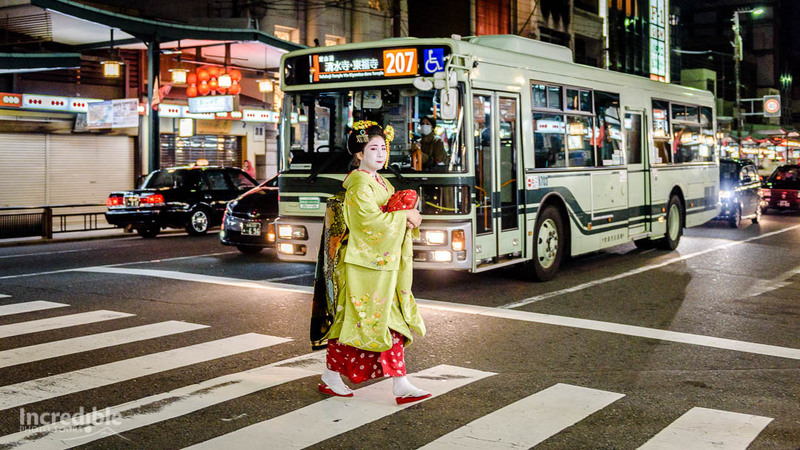 Limited places available for this special Kyushu photography tour! * All prices shown are based per person in Australian dollars and include all taxes, gratuities, land transport, and some meals as indicated. Accommodation provided is based on twin share. Single supplement available at additional cost of $895. Airfares are not included and must be organised separately. Prices and itineraries at time of publishing but are subject to change. Payments online using Paypal attract a 3.6% service charge. No service charge applicable for direct deposit payments. Please call or email us for more details. View our full terms & conditions here. To book your place on the Kyushu Japan Tour, you will need to complete a Booking Form and make a deposit*. We accept payments via direct deposit, Paypal or a credit card (through Paypal). International clients, we recommend using either Transferwise or Hifx for direct deposit payments to us. Please contact us for more details. Please email the completed booking form to us at [email protected] and we will get back in touch with you regarding room preferences. If you are making an international telegraphic transfer (TT) into our account, please email us at [email protected] and we will provide you with further details so you can proceed with the telegraphic transfer. Any bank fees incurred to accept the telegraphic transfer will be payable by the sender. * Tour deposit is non-refundable and the balance payment of the tour is to be paid to our bank account via direct deposit or Paypal no later than 45 days of tour departure. Payment details will be emailed to you upon confirmation of your deposit payment and allocation of your place on the tour. Full Payment and balance payment online using Paypal includes a 3.6% service charge. There is no service charge using direct deposit. By making a Deposit or Full Payment you agree to our booking terms and conditions. Places visited: Osaka, Kitakyushu, Dazaifu, Fukuoka, Karatsu, Nagasaki, Yakushima, Kagoshima, Mount Aso, Takachiho, Kurokawa Onsen, Kyoto. 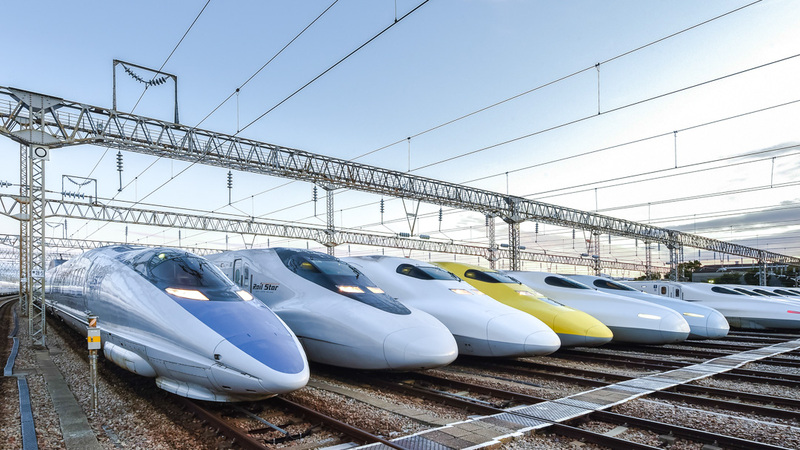 Transport: Bullet train, regular train, public bus, private van/minibus. Accommodation: 3-star hotels in Osaka, Kitakyushu, Fukuoka, Nagasaki, Yakushima, Kagoshima and Kyoto. Business hotel in Aso. Extra days: Pre and post tour accommodation available. Book here. Special price until 15th September 2019. What we were looking for was out-of-the-way sights in Japan not on the mainstream and more traditional, with a backdrop of autumn colours. This tour considerably exceeded our expectations. From beautiful Himeji Castle to Mt. Aso volcano, and onsen to cooking our own meat in a restaurant over a charcoal flame, we saw some of the best that Japan has to offer. As a couple we are widely travelled, but this tour stands out as probably the best we have ever been on. Arrive at Kansai International Airport and make your way to our accommodation located in Osaka. 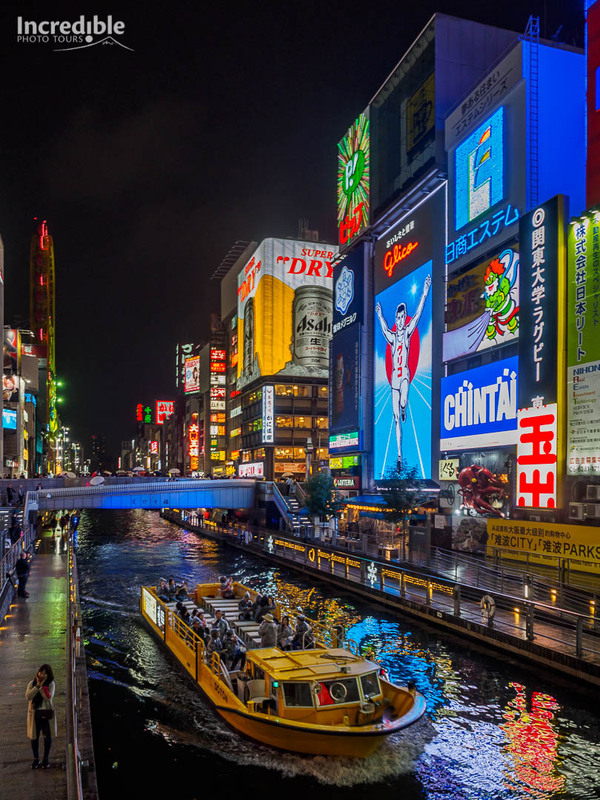 If you arrive early you can take the opportunity to explore the around Osaka Station, and visit the world-famous restaurant and entertainment district of Dotonbori. A welcome dinner will be held and we’ll discuss the photography and activities we will undertake over the next few days. 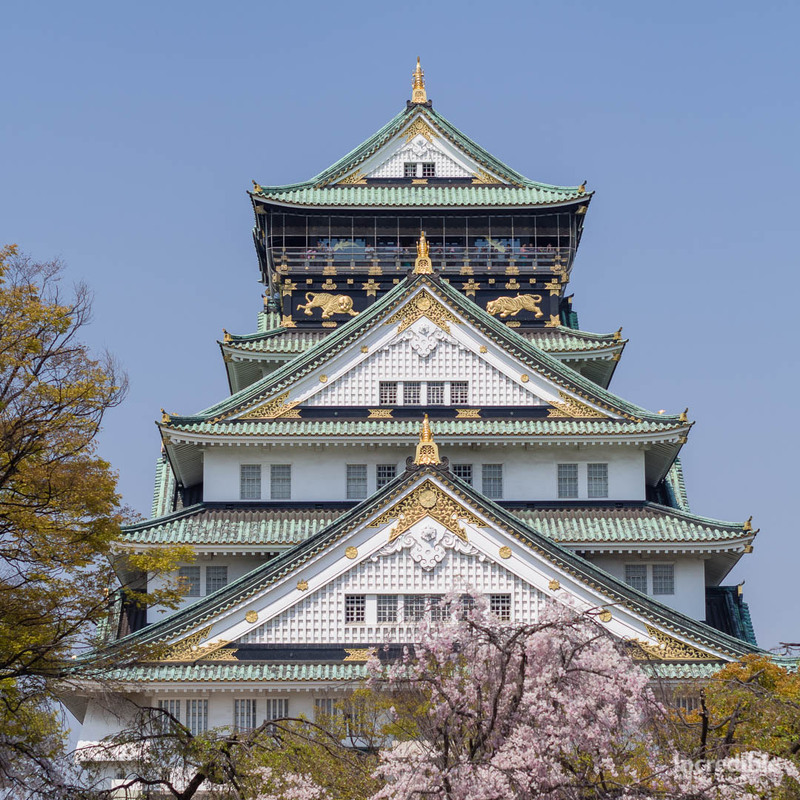 A busy start to the day as we explore two of Osaka's famous buildings this morning; the iconic Osaka Castle, and the Umeda Sky Building, with its futuristic architecture. We make our way in the afternoon to the city of Kitakyushu, the gateway to Kyushu island, Japan's 4th largest island and an off-the-beaten track destination. We spend the late afternoon and early evening in Mojiko Retro, a beautiful port area featuring several well-preserved historic buildings from past eras. Our day finishes with dinner at Riverwalk shopping centre in Kokura, the centre of Kitakyushu. The architecture is amazing to see, and the best example of its kind in Japan. A morning visit to Dazaifu, a historic city that served as the administrative centre of Kyushu for over 500 years. The highlights here are Tenmangu Shrine, and the stunning zen garden at Komyozenji Temple. In the afternoon we make our way to southern Fukuoka, where West Japan Railway Company are providing our tour group with an exclusive tour of a shinkansen (bullet train) rail depot. In the evening we return to central Fukuoka and explore the Canal City shopping centre, the vibrant Tenjin district, and sample to delicious street food on offer at Hakata yatai stalls. Our first full day in Kitakyushu, the gateway to Kyushu, and we have some amazing sights today. Our morning is spent around Kokura Castle Japanese Garden, a small and peaceful spot just a short walk from the castle. For lunch we'll visit Tanga Market, boasting over 100 years of history and considered "Kitakyushu's Kitchen". Here you can visit a kaku-uchi store – a unique combination of bar and liquor shop, and sample some of the amazing sake (Japanese rice wine) on offer. After lunch we visit the Hiraodai Karst Plateau, one of the three largest karst deposits in Japan and a designated natural monument. The grassy landscape is dotted with hundreds of rocks and is an otherworldly landscape. 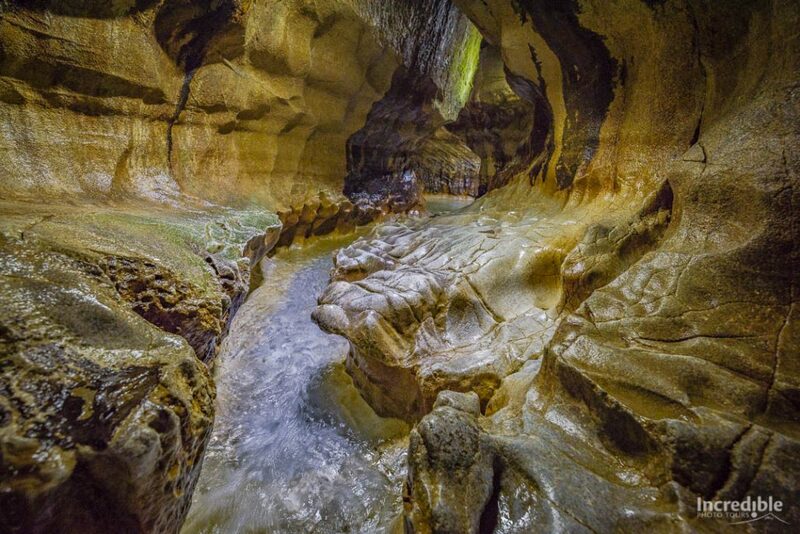 We also explore Senbutsu Cave with its flowing underground river - this amazing cave needs to be explored using water shoes (provided) as we wind our way through the limestone passageways. From late afternoon, we head to Takatoyama Park to watch and capture the stunning sunset. Our day finishes with a night photography shoot of our first kojo yakei or factory night view, for which Kitakyushu is famous nationwide for. Kitakyushu is famous as an industrial city and we'll be spending the morning exploring a famous company that has its headquarters here: TOTO, one of the world's largest toilet manufacturers and inventor of the iconic WASHLETTM toilet. 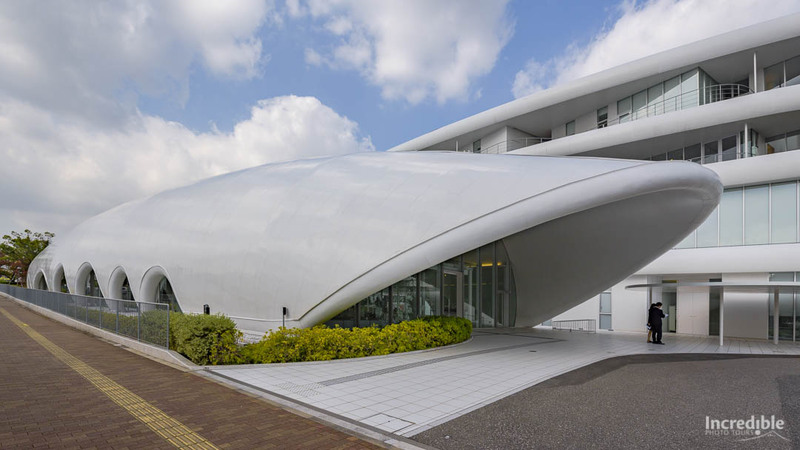 After lunch, we visit the Kitakyushu Municipal Museum of Art, designed by world-renowned architect Isozaki Arata with its unique exterior resembling a pair of binoculars. KMMA features both Japanese and Western artworks, including wood block prints by Hokusai and Utagawa as well as works by western artists Bonnard, Bourdelle, Degas, Monet, Renoir and Rodin. For sunset, we visit Mount Sarakurayama with its stunning night view over Kitakyushu. This is one of Japan's top 3 night views! Our day concludes with a night photography session at another factory night view location. We revisit Dazaifu this morning to learn more about Kyushu's history at Kyushu National Museum, the newest of Japan's three national museums, featuring stunning architecture, and amazing wealth of exhibits inside. In the evening we make our way to Karatsu to enjoy one of Japan's top 3 float festivals, the Karatsu Kunchi Matsuri. Featuring beautiful intricate floats known as hikiyama, these are illuminated at night and paraded at night for only one night during the year. We spend today enjoying the Saga International Balloon Fiesta, one of the top ballooning competitions in the world. Around 100 balloons take to the sky each year at this fantastic event. 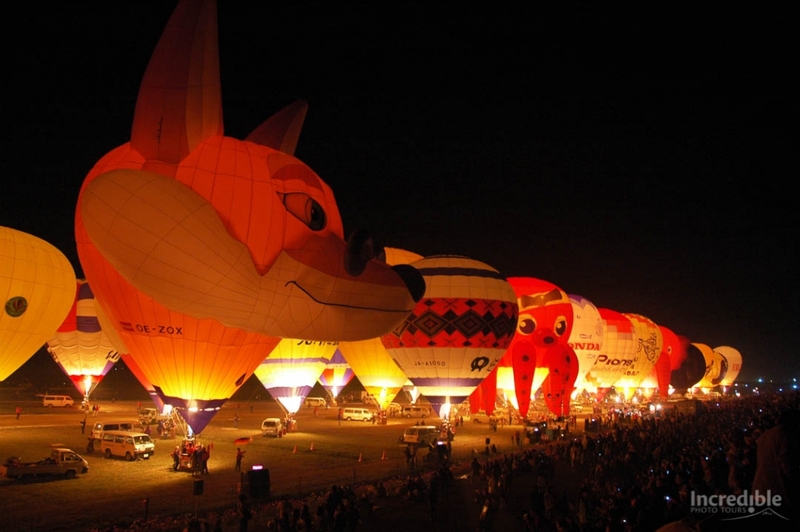 During the evening, the La Mongolfier Nocturne takes place, where tethered balloons light up their burners in a spectacular choreographed display! We move to Nagasaki today, an important port city better known as the second city after Hiroshima to be destroyed by an atomic bomb. We visit several sights related to the atomic bomb today, including the Peace Park with its sobering Nagasaki Atomic Bomb Museum, and nearby Urakami Cathedral, destroyed by the atomic bomb but rebuilt. 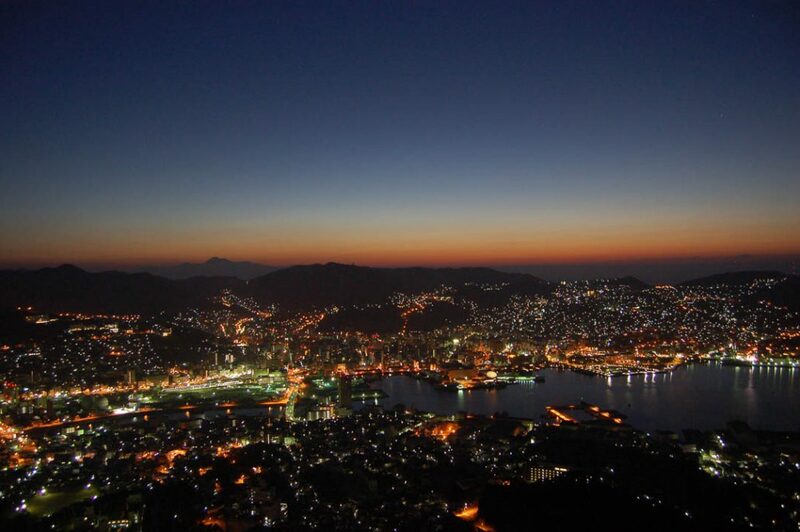 During the evening we visit Mount Inasayama to photograph its amazing night view of Nagasaki. Like Mount Sarakurayama in Kitakyushu, this is another one of Japan's top 3 night views - and we are able to see two of them on this tour! This morning we visit the famous island of Hashima, nicknamed "Battleship Island" (Gunkanjima), due to its resemblance to a warship. Hashima was once the site of a coal mine operated by Mitsubishi, and at its peak was the most densely populated place in the world. Once the coal ran out, the island was abandoned, with the buildings left to decay. We are able to visit part of this incredible island and see it up close. We return to Nagasaki in the afternoon to visit more of its picturesque attractions, including Sofukuji temple, unique for it's Chinese-inspired architecture; Dejima, a port area formerly used by Dutch traders in the 17th century; and Nagasaki Shinchi Chinatown, the oldest Chinatown in Japan. In the evening we make our way south to Kagoshima. An early morning start as we make our way today by jetfoil ferry to Yakushima, a subtropical island off the coast of Kagoshima in Kyushu's south. 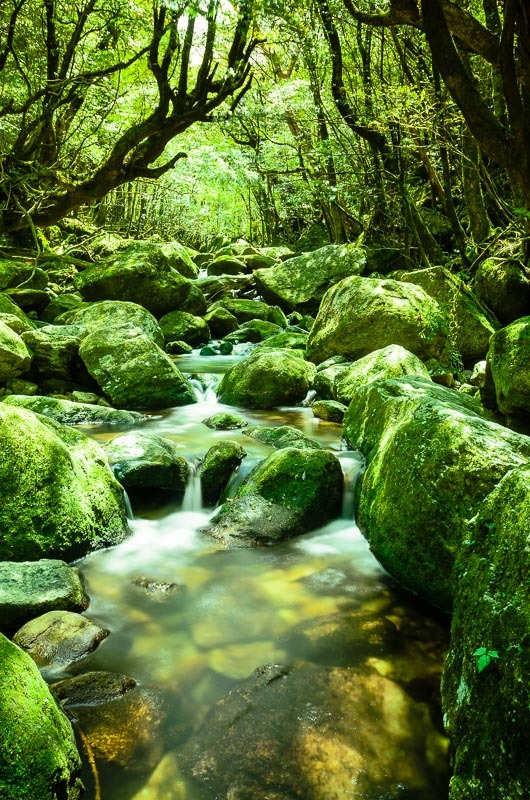 Yakushima is one of Japan's natural wonders and is a UNESCO World Heritage Site. It has an extensive ancient cedar forest that contains some of Japan's oldest trees. Some of these yakusugi (Yakushima Cedar) are over 7000 years old! For our first day in Yakushima we'll be visiting some of the island's waterfalls and finishing our day at Yakusugi Land, where there are a number of 1000+ year old cedar trees. A full day exploring the incredible Shiratani Unsuikyo Ravine. This amazingly photogenic place features a lush, mossy forest that served as an inspiration for the forest in the animated film Princess Mononoke. Several of Yakushima's ancient cedar trees are also located in Shiratani Unsuikyo. In the afternoon, we return by jetfoil ferry to Kagoshima. An optional early morning look at Mount Sakurajima, the active volcano that is right on the doorstep of Kagoshima. We make our way north to Kumamoto, where we have private transport to the beautiful Kikuchi Valley (Kikuchi Keikoku), located in Aso Kuju National Park. 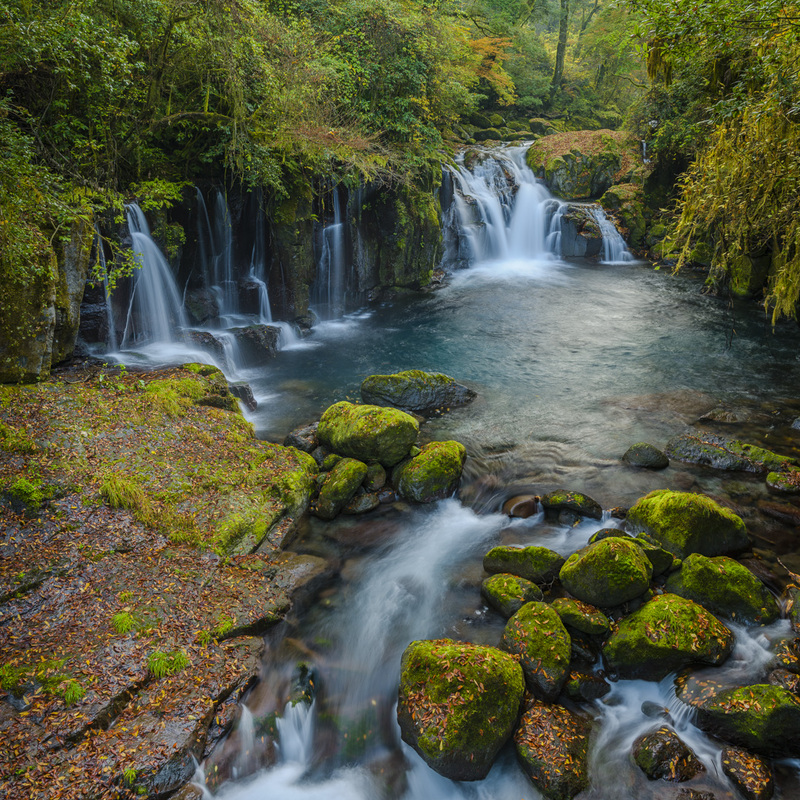 The Kikuchi Valley is renowned as one of Japan's 44 "Forest Bathing" sites and is particularly scenic during autumn. In the afternoon, we visit Kurokawa Onsen, one of Japan's most famous and most attractive onsen towns. Take the opportunity to do a Rotemburo Meguri ("tour of outdoor baths") before we make our way to Aso. Mount Aso is the largest active volcano in Japan and its ancient caldera is among the world's largest, with a diameter of up to 25km. With good conditions, we'll be able to visit the crater of Mount Nakadake, one of the active volcanic peaks. Our next location Takachiho, a quiet mountain town with the stunning Takachiho Gorge as its highlight. 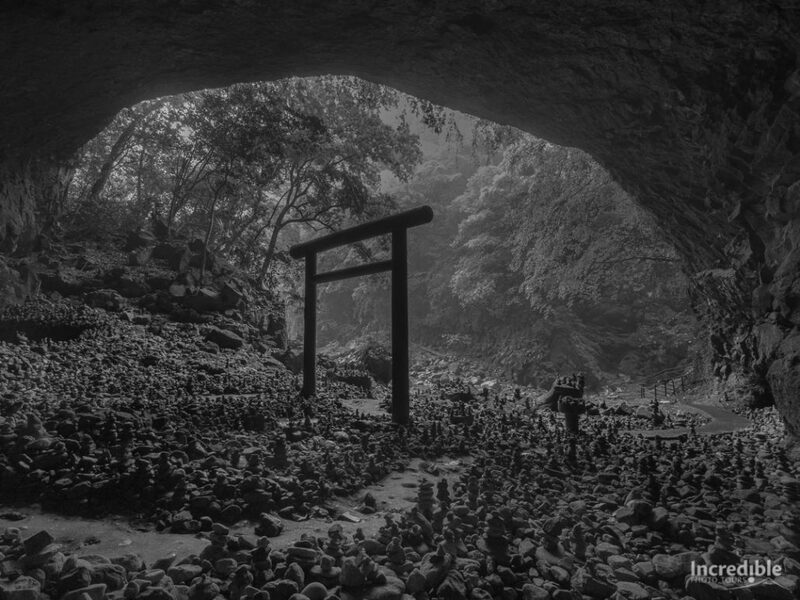 Outside of Takachiho, the Amano Iwato Shrine is the site of a one of a famous legend in Japanese mythology, with Amaterasu, the Shinto sun goddess hiding herself away in a cave, now known as Amano Yasukawara. We finish our time in the Kyushu countryside and return to Kitakyushu in the evening. We say goodbye to Kitakyushu this morning and head north to the cultural capital of Japan, Kyoto. In the afternoon, there's free time to explore downtown Kyoto. In the evening, we make our way to Arashiyama to view a spectacular nightime autumn illumination event at Hogonin Temple. A full morning and lunchtime free for you to explore Kyoto on your own. 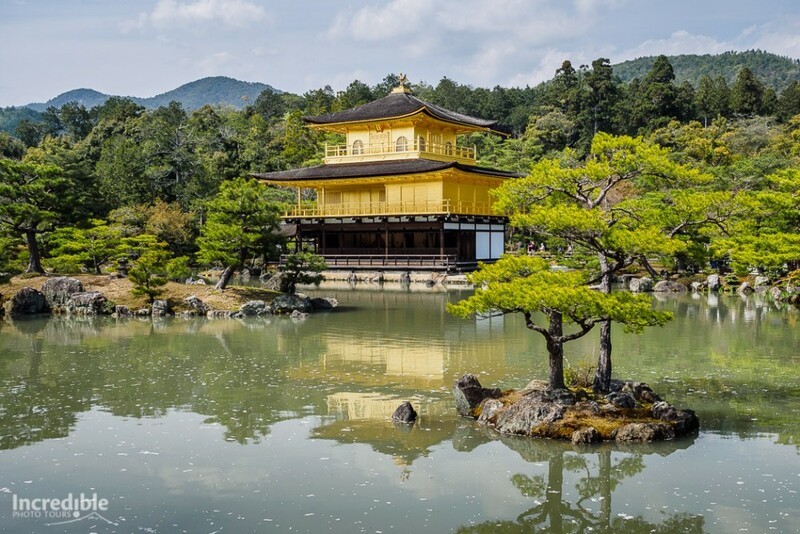 Take the opportunity to visit the iconic golden Kinkakuji Temple, and nearby Ryoanji Temple, home to Japan's most famous rock garden. 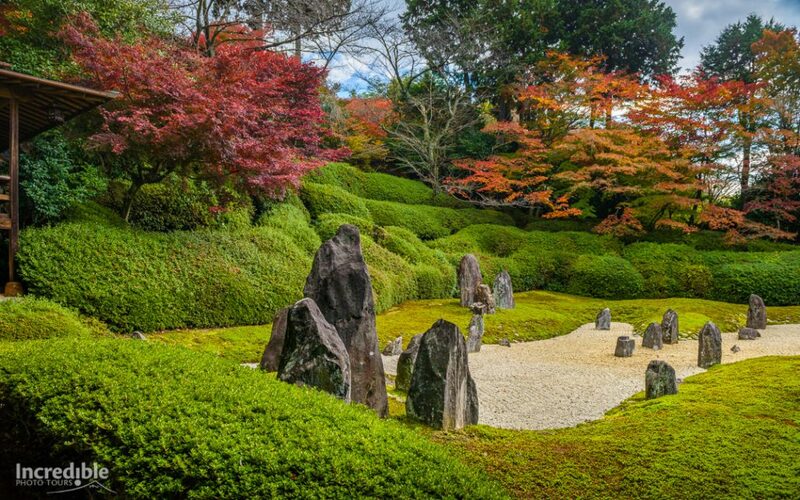 In the afternoon, we visit Komyoin Temple, one of Kyoto's lesser known temples featuring a beautiful zen garden and the perfect place to sit and contemplate. From sunset, we head to Ishibei Koji, easily the prettiest street in Kyoto. In the evening, we have our farewell dinner, and share our memories of the past two weeks in Japan. The end of our tour and after checkout we will assist you with transport advice to the airport for your flight home or your continuing travel in Japan.